As summer unfolds, European cities are entering a season bursting with performances of opera, theater, dance and music. Both newer and more traditional festivals enhance their programs with select visual arts presentations which are often linked to the global issues at hand. For instance, this year the Holland Festival has a much more political-tinged flavor than ever before, as the visual arts program is being led by the artist collective åyr, who will reflect on the current housing and shelter crisis through their 3D architectural objects scattered throughout the urban landscape. 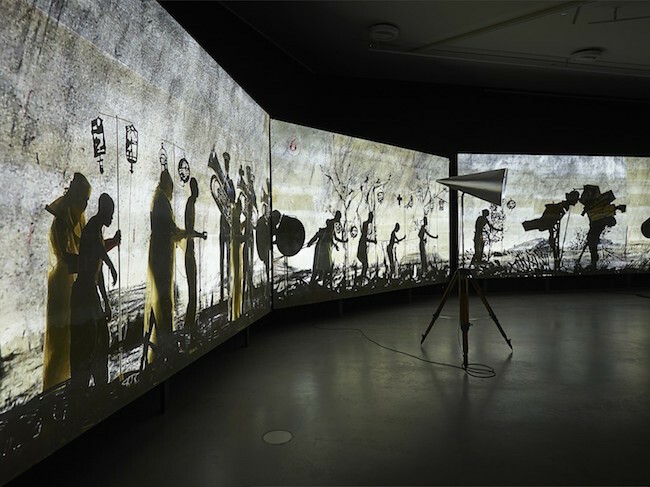 Similarly, the Greek Festival’s art program will contain a large-format video work by South African artist William Kentridge – about the road to an uncertain future and the political changes taking place. Yet another project reminding us of the pain and suffering that others are going through right now will be presented at the Berlin Performance Art Festival – its director, Daniel Wetzel, has prepared a sound-listening theater/installation which he created together with refugee children in Greece. Although some of the summer festivals are still fine-tuning their program schedules, Arterritory.com has put together a select guide of Europe’s biggest, and not-so-big-but-still-intriguing cultural festivals – in Athens, Amsterdam, Aarhus, Hamburg, Vienna, Latvia, and even north of the Arctic Circle. The international theater festival Theater der Welt offers exactly what its name implies – world theater. It brings to the forefront the thought processes of today’s theatrical artists hailing from almost all seven continents, highlighting how their geographic locations result in differing points of perspective and artistic signatures. The breadth of diversity is spectacular, featuring works from New York, Rio de Janeiro, Damascus, Sydney, Cairo, Barcelona, South Africa, China, New Zealand, Chile, Argentina, Belarus, Palestine, Lebanon, France and the Netherlands. From the farthest-flung countries, we recommend you definitely catch the showing of “Children of Goods”, by New Zealand director Lemi Ponifasio and the artist group MAU. 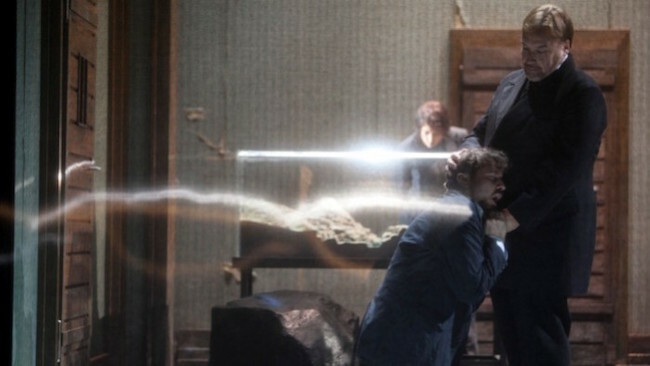 This is a case in which a production’s combination of images and sound exceeds all expectations for what theater can be. 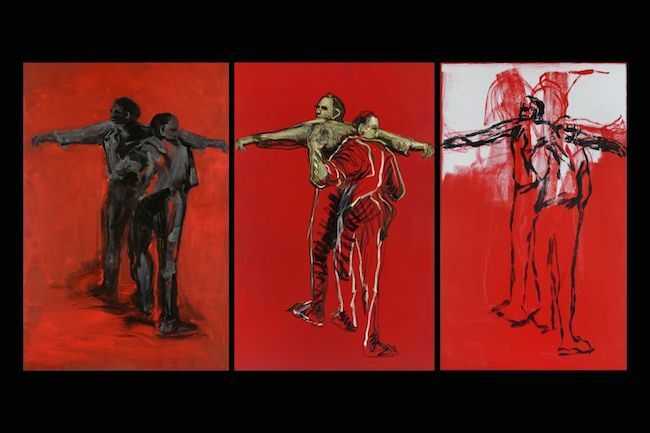 South African artist Brett Bailey is a specialist in provocative works that focus on the themes of racism and colonialism. Bailey has the ability to maneuver them into such a conversational stream that, to the eye of the viewer, these subjects are transformed from theoretical discussion points into powerful and direct human intercontact. One of Europe’s oldest and tradition-rich theater and music festivals, this year’s Wiener Festwochen is turning a completely new leaf in its attempt at joining the ranks of the world’s most contemporary cultural events. Namely, the programs created by curators have conceptual and intellectually active paths connecting them to other parts of the festival, which thereby exhibit a reflective discourse with programs created by other curators, and as a result are, as a whole, much more important than each individual festival unit in itself. Just a mere five years ago, this Greek festival – which is actually two festivals combined, the Athens Festival and the Epidaurus Festival – was considered one of the most influential summer cultural festivals in the world. But, alas, the poor state of the Greek economy in recent years has drastically curtailed the size of the festival’s events program, which is why this year the focus will be put on works by local artists and international acts who don’t require much more than “an actor and a mat”. 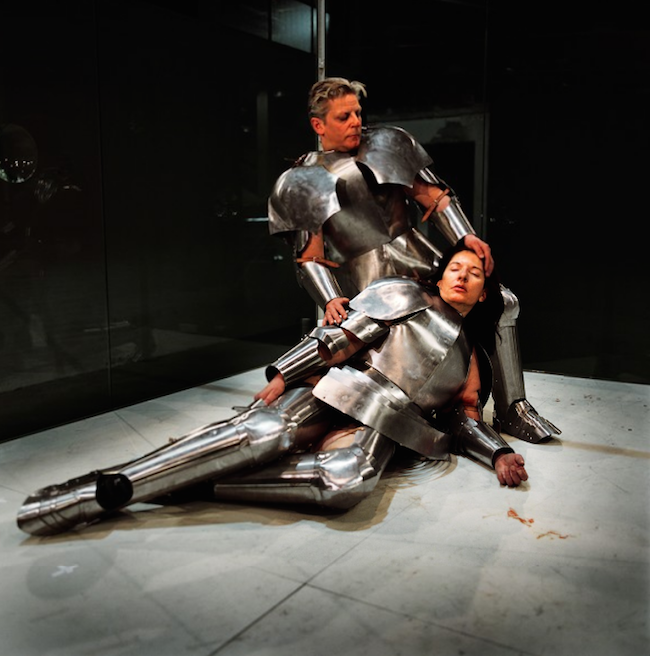 Scheduled to perform is the British avant-garde group Forced Entertainment, who, with just the aid of a simple kitchen table and a few objects from daily life, use their excellent acting skills to provide their audience with, quite possibly, the deepest and truest contact with a William Shakespeare play that they have ever experienced. Also worth noting is Frank Castorf’s production of “The Gambler”, which features outstanding actors supported by especially powerful video effects. VISUAL ARTS PROGRAM The Festival’s visual arts program will include the Museum of Photography Thessaloniki, which has organized an exhibition featuring the works of 26 photographers (most are photojournalists) on the subject of refugees; due to Greece’s location, this has always been a topical issue for the country. One of Europe’s oldest international theater and opera festivals is presenting itself with a more political character than usual this year. 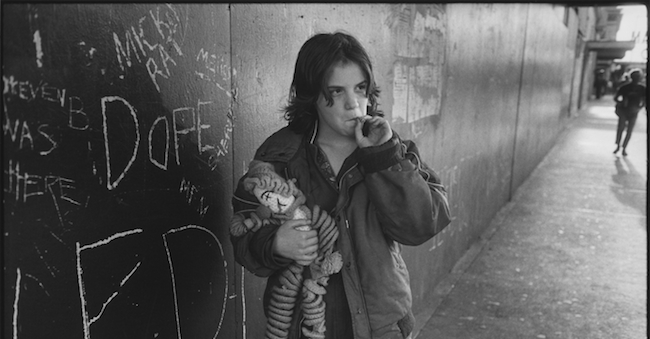 Namely, London’s National Theatre will be taking to Amsterdam its production of “My Country; a work in progress”, a play giving insight into the hearts and minds of the British population after 52% of voters declared that they wish to leave the European Union. Master of metaphysical theater, Italy’s Romeo Castellucci, has created a new performance specially for the Festival. A poet of fascinating visual landscapes who has the ability to sense the world’s irrational vibrations, this time Castellucci has concentrated on the timely issue of democracy in the USA. Inspired by French philosopher Alexis de Tocqueville’s 1835 treatise on the young American democracy, Castellucci has put together a deliberately polemic and provocative theatrical work. 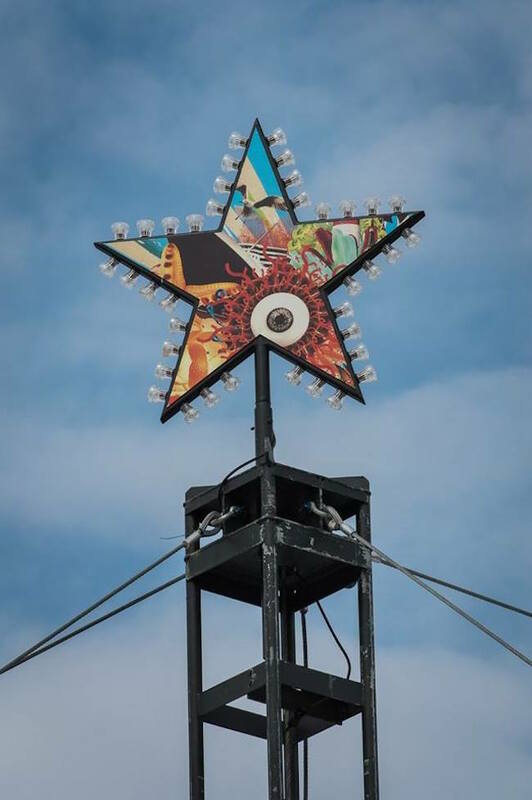 VISUAL ARTS PROGRAM Since 2015, the Holland Festival, in cooperation with the Stedelijk Museum, has also put together an expansive visual arts project, “Museumplein”, in the museum’s square. Three years ago, the mile-long green square was lined with the environmental installation “All-Imitate-Act”, by British artist Liam Gillick. For the second year now Berlin is organizing its Performing Arts Festival, giving visitors an almost-week-long chance to become acquainted with the city’s “free stage” or “OFF art” variety of ideas, thinking, and poetics. Almost 60 venues will feature about 120 performances in the broadest array of genres. Most anything you can think of can be found here: theater, dance, performance, puppetry, site-specific projects, installations, musical theater, staged expeditions, anatomical animal theater, seminars, and more. 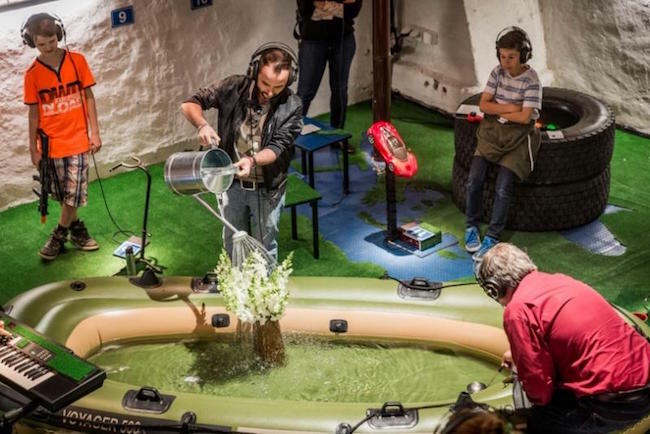 VISUAL ARTS PROGRAM The sound-listening theater “Evros Walk Water 1&2”, written and directed by Daniel Wetzel (from the renown three-person team of author-directors, Rimini Protokoll), is partly also a visual experience. Created with refugee children in Greece, the work is a production of American minimalist John Cage’s composition “Water Walk”, which premiered on television in 1959. Wetzel’s piece touches upon the sensitive issues of today’s world. 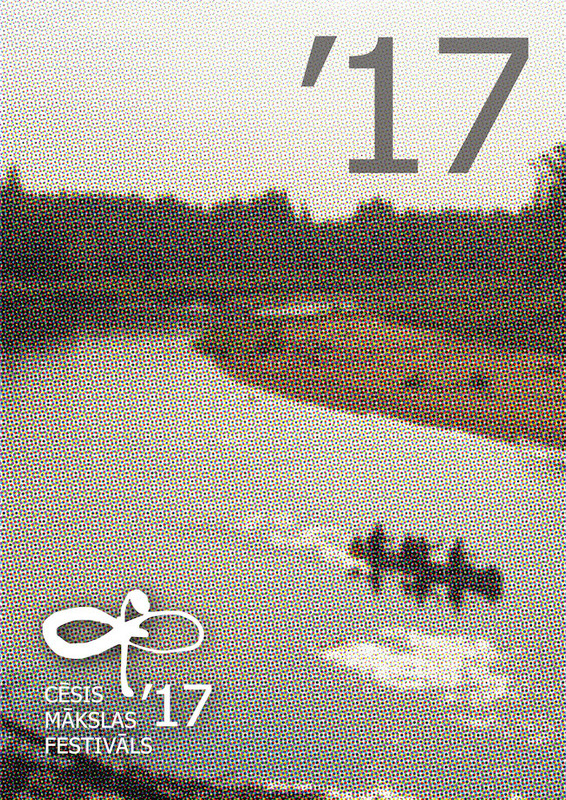 This summer the Cēsis Art Festival is presenting as its special project the film program Upe (“River”) – screenings on the banks of the Gauja River by the Ērgļi Cliffs. The Festival’s musical program promises surprises with experimental shows by esteemed Latvian pianist Reinis Zariņš and Dutch painter Maryleen Schiltkamp, the percussion group Perpetuum Ritmico, and a collaboration between the young Latvian organist Liene Andreta Kalnciema and the clarinetist Mārtiņš Circenis. 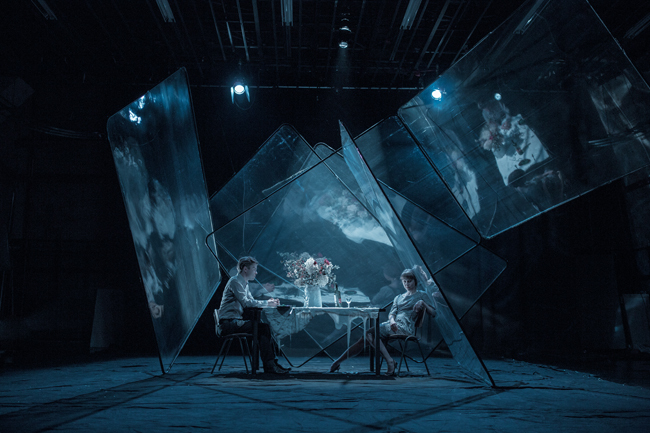 Theater lovers, as usual, will be able to watch as the best plays of the previous year are staged again in Cēsis. After an absence of several years, the ballet will return to the Festival with Aleksejs Avečkins’ Star, while the Cēsis Castle Park amphitheater will host a truly unique event – a production of the flamenco opera Ainadamar by Argentinian composer Osvaldo Golijov, who has also written the score for several Francis Ford Coppola films. VISUAL ARTS PROGRAM Contemporary art will be presented at this year’s Cēsis Art Festival in the form of lectures held in the cinema of the Cēsis Concerthall. This specially-created sequence will present festival-goers with a fascinating and professional look into the processes of contemporary culture, as well as an informative introduction to its most prominent figures. The following luminaries from the art world will be giving talks: Inese Baranovska, art scholar and curator; Vēsma Kontere, Norwegian-based architect and professor at the Westerdals School of Communication; and Kaspars Vanags, curator and visionary for the nascent Latvian Contemporary Art Museum. Under the auspices of the Little Contemporary Art School, the documentary film Laikmetīgā (“The Contemporary”), by Director Dainis Kļava and VFS Films, will see its premier. 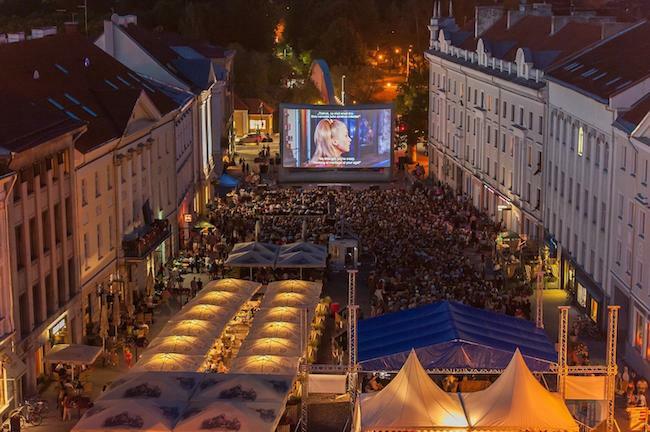 A very special part of the Festival is the film program Upe, organized by film scholar and director Jānis Putniņš, and its screening of the 1934 Latvian documentary film Gauja, which has been digitally remastered specially for this project. The film will be projected onto the riverside cliffs, thereby creating an exceptional audiovisual effect. The rather gruesome name (meaning “infection”) notwithstanding, the German theater festival Infektion! is actually one of Germany’s most interesting festivals for new musical theater. The name comes from the hope of creating long-term interest in composers for the creation of new operas. One of the most beautiful, high-quality and romantic opera festivals in Europe. 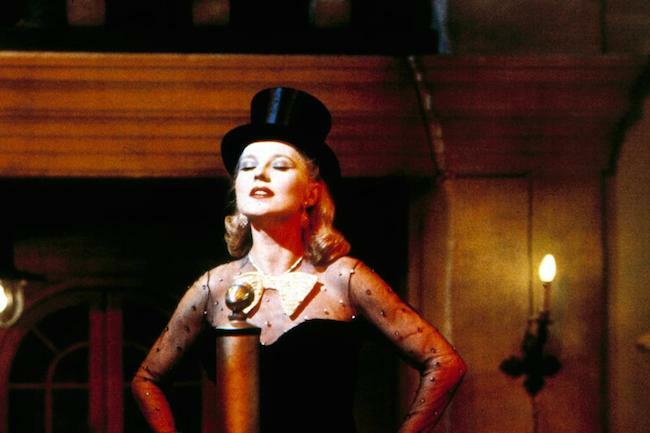 Performances begin at sundown and take place out-of-doors – for as they say, it never rains in this small French town. The Avignon Festival is one of Europe’s oldest and most respected theater festivals. As it concentrates on French theater specifically, festival-goers should be well-versed in the French language. In this theater, great emphasis is placed on the text and the myriad ways in which it can be artistically and engagingly expressed, leading to a truly broad array of opportunity to experience modern French theater craft. The Festival does keep the international theater-goer in mind, nevertheless, which is why in addition to the rich French program, a number of international artists are invited to perform more visually-based rather than word-based works. 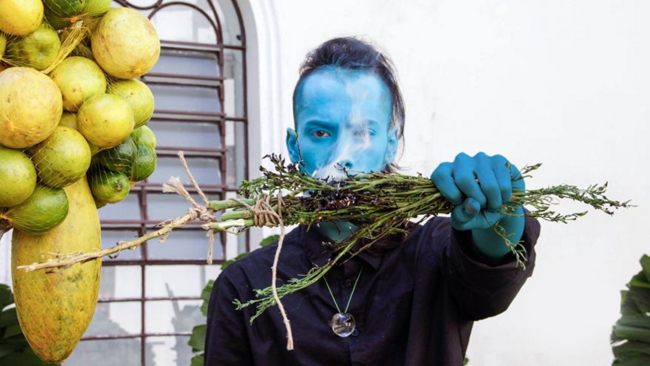 Among these are the works of New Zealand director and choreographer Lemi Ponifasio and his group MAU – a combination of ritual, theater and dance that supersede any preconceived notions one might have of how theater should look and sound. Similarly surprising is the work of British director Katie Mitchell, who has been presenting and simultaneously creating her so-called “live films” on theater stages for over a decade already. The Viennese dance festival ImPulsTanz is one of the biggest and influential of its genre in Europe. Established in 1984, today it has become the largest modern dance platform in Europe, and is of great interest to not only its viewers, but to dance artists as well. 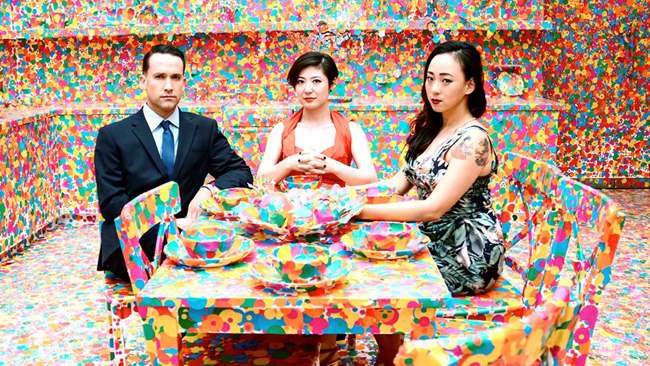 The program for ImPulsTanz is a compilation of distinctly diverse understandings of movement in modern-day works. This year’s festival highlights the oeuvre of the controversial and radically polarizing Belgian artist Jan Fabre. This urban theater festival was founded just last year, and offers viewers unique productions created for specific venues. 2016 saw the joint production of Rainis’ “Spēlēju, dancoju” by Mārtiņš Eihe and the post-folklore musical group Iļģi, in one of the outbuildings of Valmiermuiža Brewery, as well as the presentation of a fashion/sound poem based on Rūdolfs Blaumanis’ “Tālavas taurētājs” – a cooperative effort by the fashion label MAREUNROL’S and the musician Shipsea, which was performed in the historical narrow-gauge railway depot. Liepāja Art Forum will be taking place for the third time this summer – a modern-day art festival that invites everyone to take down the borders between “mine” and “yours”, between the usual and the unusual, between various art genres and mediums, between art and technology, and between the local and the global. The Forum will open with a contemporary art exhibition and the Latvian premier of the sound installation “Amber Diptych”, followed by a lecture by Professor Godfried Willem Raes from Belgium, who has created his own robot instrument orchestra. Austrian choreographer Tobias M. Draeger will present the dance performance “Daily Madness”, and Spanish percussionist Roberto Oliveira will perform a program of pieces by a new generation of composers featuring percussion, electronic music, and synchronized visual art. 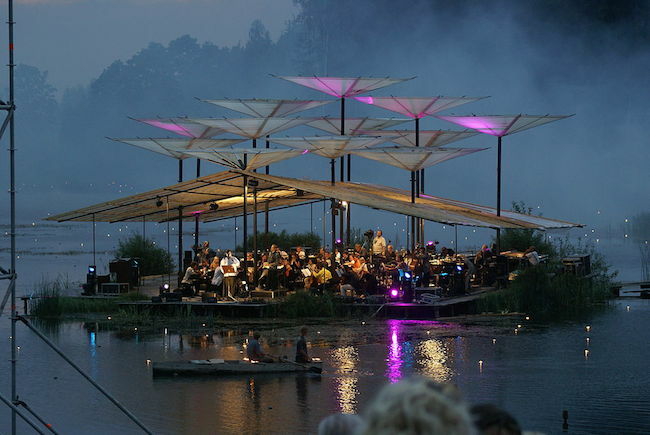 The scenic Leigo Lake Music Festival in Estonia is a unique phenomenon on the European music scene – it brings together classical music, chamber music, rock, jazz, and even pop music, all in one place. Concert stages are located on the lake, while the audience watches from seats placed on the gently sloped lake shore. An essential role is played by the multitude of burning candles set out throughout the venue. The international contemporary circus and street-art festival Re Rīga! has been taking place since 2013, having brought to Latvia more than 70 artists from 14 countries, and attracting 25 000 audience members. The selection committee for this year’s festival has chosen to focus on artists from Sweden and Finland – two countries where contemporary circuses have seen a boom over the last decade, this development illustrating that it is indeed a complex art form, but also a very open one.